Stock # 3039, Automatic, 160420 mi. Visit us online at www.joesautostoledo.com to view our complete inventory. *NEW BRAKES AND TIRES* Summer time is right around the corner, and now is the time to buy a convertible before the prices go up when it gets warmer! 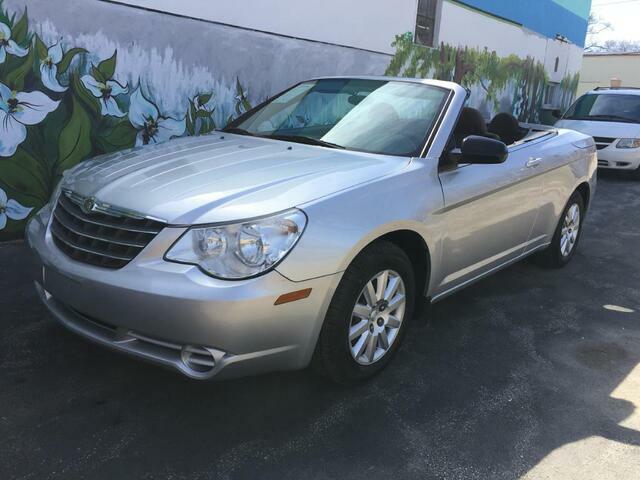 This fuel efficient Sebring convertible is a fun ride and has been well maintained with 17 service records and zero accidents. All vehicles are listed with the absolute LOWEST PRICE, so you can be sure you're getting the same great deal as everyone else! This no-haggle price is the same online as it is on the lot! Best of all, our prices are typically much lower than many of our competitors and the suggested retail values given by KBB and NADA. No games. No gimmicks. Most vehicles comes with an in-house motor and transmission WARRANTY! FREE CARFAX AVAILABLE. Vehicle is priced to sell based on its own unique history. We strive to make your buying experience comfortable and transparent by combining exemplary customer service with quality used vehicles at a fair price. Financing available for up to two years with a down payment of close to half of the vehicle's price. Trade-ins welcome! Our family has proudly served the Toledo area for 27 years. Visit us for details, or call 419-841-3620. BBB Accredited Business.